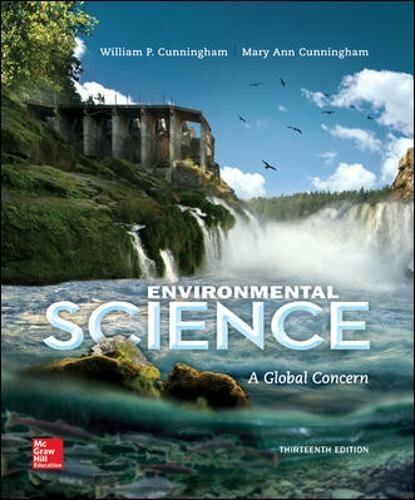 May 7, 2018 lowpricebooks 73532541, Environmental Studies: Books, William P Cunningham Prof.
73532541 – Environmental Science by William P Cunningham Prof.
73532541 –Environmental Science: A Global Concern is a comprehensive presentation of environmental science for non-science majors which emphasizes critical thinking, environmental responsibility, and global awareness. This book is intended for use in a one or two-semester course in environmental science, human ecology, or environmental studies at the college or advanced placement high school level. As practicing scientists and educators, the Cunningham author team brings decades of experience in the classroom, in the practice of science, and in civic engagement. This experience helps give students a clear sense of what environmental science is and why it matters in this exciting, new 13th edition. Environmental Science: A Global Concern provides readers with an up-to-date, introductory global view of essential themes in environmental science. The authors balance evidence of serious environmental challenges with ideas about what we can do to overcome them. An entire chapter focuses on ecological restoration; one of the most important aspects of ecology today. Case studies in most chapters show examples of real progress, and “What Can You Do?” lists give students ideas for contributing to solutions. Author: William P Cunningham Prof.